What would the Professor have thought of Peter Jackson’s version of ‘The Lord of the Rings’? It’s a question many of us have asked, but none of us can answer: What would J.R.R. 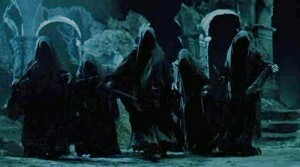 Tolkien have thought of Peter Jackson’s version of The Lord of the Rings? 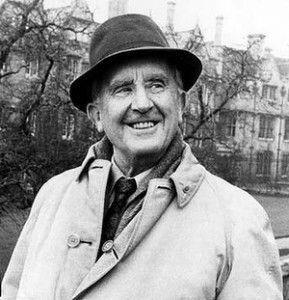 Because I’ve read a lot and thought a lot about Tolkien and his invented world, and I’ve engaged in a lot of debates about the quality and accuracy of the movies, I feel entitled to say things like, “Well, there are parts he would have loved and parts he would have hated.” But that’s not Tolkien talking. That’s me. The author died long before The Fellowship of the Ring was released in 2001, so I’ll never know how he might have reacted to the Jackson films, and neither will anyone else. The nearest we can come to Tolkien’s assessment might be that of his son, Christopher Tolkien, who did not give the Jackson movies a positive review. “They eviscerated the book by making it an action movie for young people aged 15 to 25,” Christopher told the French newspaper Le Monde in July 2012. As a boy, Christopher, “huddled for warmth by the study stove, would listen motionless while his father told him” tales from his imaginary world, Humphrey Carpenter wrote in his biography of Tolkien. In his teens and twenties, Christopher was “deeply involved with the writing of ‘The Lord of the Rings’. He had read the first chapters in manuscript, and had drawn maps and made fair copies of the text for his father,” Carpenter wrote in The Inklings. When Christopher eventually joined the Inklings (the informal literary group that included Tolkien and C.S. Lewis), “it grew to be the custom that he, rather than his father, should read aloud any new chapters of The Lord of the Rings to the company, for it was generally agreed that he made a better job of it than did Tolkien himself,” Carpenter wrote. So Christopher, clearly, knows The Lord of the Rings and his father’s thoughts about it more intimately than anyone else alive. With that in mind, it may be safe to assume Tolkien’s view would have aligned with Christopher’s, and he would therefore have hated the Jackson movies. Then again, father and son don’t seem to have shared the same opinion about whether or not the book should be turned into a movie – any movie – at all. Christopher seems to think that The Lord of the Rings is so layered and complex that no film version could do it justice. “My own position is that The Lord Of The Rings is peculiarly unsuitable to transformation into visual dramatic form,” Christopher stated in December 2001, just before the first Jackson movie hit theaters. 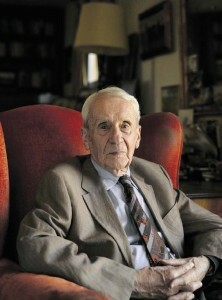 Tolkien himself, however, was quite willing to see his book turned into film – under the right circumstances. In fact, he sold the movie rights for The Lord of the Rings (along with The Hobbit) to United Artists in 1969, according to Le Monde. In these letters, published in The Letters of J.R.R. Tolkien, we get a rare glimpse of Tolkien the (surprisingly shrewd) businessman. The book also gives extracts from Tolkien’s comments on the 1957 film synopsis (Letter No. 210). The synopsis itself isn’t included, but Tolkien’s “review” sheds some light on its contents – and is probably the closest we’ll come to his vision of how The Lord of the Rings should be filmed. I could spend a lot of time laying out the similarities and differences of the 1957 and 2001 versions of the Weathertop scene, but you’re probably replaying the Jackson version in your head right now, and you don’t need my help. I will say this: Aragorn is too much the beefcake in Jackson’s version of this scene, swinging his big sword and throwing his flaming torches at the Black Riders, who run away like screaming babies. But I’ll side with Jackson on one point: It was kind of strange for Aragorn to be carrying a broken sword, which he did at that point in the book. Besides being a priceless heirloom, the Sword that was Broken was rather useless in a fight (which Aragorn acknowledged). Why not leave it in Rivendell until it’s ready to be re-forged, and carry a workable sword in the meantime? 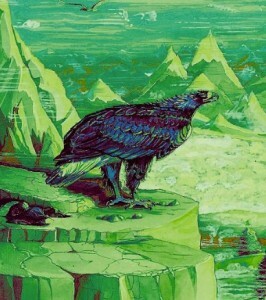 Tolkien also addressed the overuse of the Eagles in the 1957 version: “I feel this to be a wholly unacceptable tampering with the tale,” he wrote. “‘Nine Walkers’ and they immediately go up in the air! The intrusion achieves nothing but incredibility, and the staling of the device of the Eagles when at last they are really needed.” At least Jackson didn’t commit that unpardonable sin. Jackson didn’t cut the battle of Helm’s Deep. Oh no. It’s the big set piece of his second movie. Whether or not that diminished the big battle in his third movie is debatable. Seems like Jackson’s shorter version of “The Return of the King”, the version that ran in theaters (as opposed to the extended edition), handled “Sharkey’s End” in a manner Tolkien would have preferred. Despite his distaste for the 1957 synopsis, Tolkien was still willing to “play ball”, as he wrote. So why was that version never made into a movie? Maedhros is a guest writer and his views do not necessarily reflect those of TheOneRing.net. Maedhros lives in Grand Rapids, MI. He’s been hooked on Tolkien since he was 11, when he opened the first page of “The Two Towers” and read about Aragorn tracking a hobbit; and Boromir’s death scene, of course. 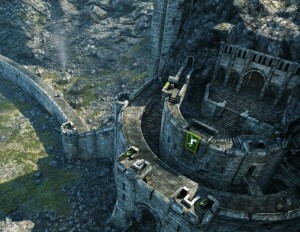 This story is posted in the following categories: Christopher Tolkien, Hobbit Book, Hobbit Movie, J.R.R. Tolkien, Lord of the Rings, LotR Books, LotR Movies, Other Tolkien books, Silmarillion, The Hobbit, Tolkien, Uncategorized No Comments » . Please click on a category name to view all stories related to it.